1.What is my property worth? What price will I get for it? 2.How would you market my property? 3.How long will it take to sell my property? 4.How do you run inspections -- open house versus privateinspections? There's no one answer to this question, as every property's different and market conditions will also affect the price your property sells for. However, here are some important facts to help you get the best price for your property. Firstly, everybody does their research on the internet these days. Buyers are well-informed and they'll know what your property is worth -- we call this "market value". Research shows that if you set the asking price too high above market value buyers aren't interested. They simply don't believe it's worth the price. Your property can end up on market longer and then people start wondering what's wrong with it. They start focusing on the negatives and rumours can start. When a property's new to market, there's a flurry of initial buyer activity and lots of interest at inspections. This makes sense, as buyers are mainly on the lookout for new listings. It's critical you have the right asking price during this initial selling period, because this is when you're most likely to see competition between buyers which helps you get a higher sale price. If the asking is price is too high at the start you can NEVER regain the level of buyer interest that occurs when the property is new to market, so you'll miss out on serious offers. So how will we help you get the best sale price for your property? So benefit from our expertise today - complete the form on the right of this page or call us on 4228 2555, and get the best sale price for your property. 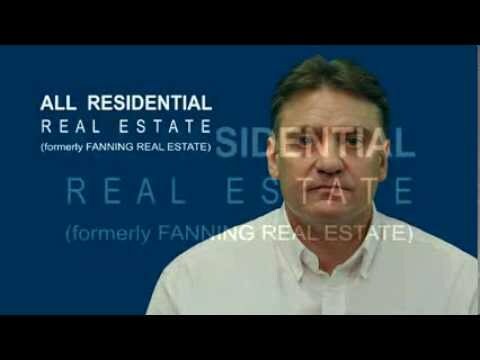 At All Residential Real Estate we understand that a high quality, customised marketing campaign helps your property to stand out. This means more interested buyers which helps create competition, so you'll get the best sale price in the shortest time. Your property will be marketed through both our online and offline methods. Nowadays most buyers do their research on the internet. It's a convenient tool that can be used anytime, anywhere. Buyers want plenty of good photos and detailed information about your property immediately available...so that's what we give them!We even do a video of your property. We'll use lots of high quality professional photos and a floor plan to visually attract buyers -- they can start to imagine themselves and their furniture in your property. Words don't cost online so we'll use lots of detailed text to sell the great features of your property. Take a look at the ads on our website and you'll see for yourself. And your property will be advertised to the same high quality on realestate.com.au and domain.com.au so it'll stand out there as well! A marketing campaign from All Residential Real Estate will generate lots of interested buyers at your inspections, which increases competition so you get a great sale price. So complete the form on the right of this page or call us on 4228 2555, and we'll start working on your customised marketing campaign today! 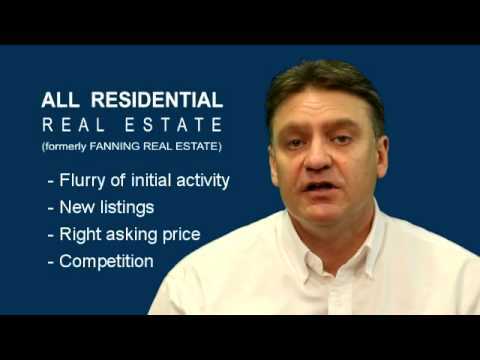 Firstly you need to price your home correctly at fair market value. Buyers won't come if you start your campaign with an unrealistic price, so your property will take longer to sell. Secondly, select a good agent with a high quality marketing campaign to maximise the level of buyer interest and competition for your home. This will mean you start getting serious offers quickly. The first 3 to 4 weeks that your home is on the market is when you'll get the maximum amount of buyer interest. If it's priced right, this is usually when you get the best offers. After that interest usually drops quite dramatically. When a home takes more than a few months to sell, people think there's something wrong with it and rumours can start. If the price is wrong, even the best home can sit there unsold for ages. At All Residential Real Estate we specialise in residential property sales, so we're experts in accurately pricing properties in your local area. And we're proud of our high quality marketing -- in fact, you're watching some of it now! 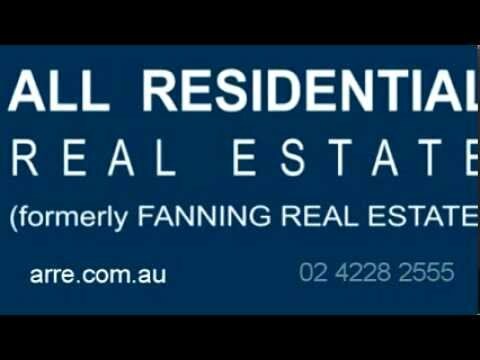 So if you'd like an agent who knows how to get the serious offers coming in quickly, complete the form on the right of this page or call us today on 4228 2555. At All Residential Real Estate we offer both private inspections and open houses to provide maximum flexibility to buyers. We want as many people as possible see your property so you get the serious offers coming in. We're extremely thorough during inspections because we know every person who walks through your door could be the one to make that great offer. We'll record all buyer details so we can follow up everyone. And we'll make sure buyers take away a brochure which highlights all the great features of your property, so yours is the one they remember. Our agent will always be present during inspections and we're extremely conscious of all security aspects, like closing windows and ensuring your property is locked up afterwards so you don't need to worry. In addition, we'll make sure people take their shoes off and we'll return your house to you in the same condition as you left it, so you won't come home to any dirty footprints! 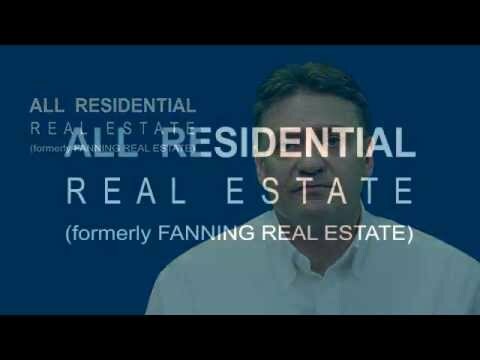 At All Residential Real Estate we understand the importance of communicating with you regularly so you always know what's going on. We'll contact you to organize inspections at a time that suits you. Then we'll report back to you the results of the inspection and next steps. So if you want an agent who'll maximize every sales opportunity that comes through your door, and who will take care to lock it afterwards, complete the form on the right of this page or call us today on 4228 2555. If you are looking to buy an investment property which is already tenanted, below is some important information you should review prior to making an offer. While there are advantages to buying a property that already has a tenant, it is important to do your homework so that you are not buying someone else’s problem. Lease - This should be included with the Contract of Sale. If not ask for it. With the lease you can confirm how long the people have been in the property and what was the starting rent. It would also be important to confirm that the current tenants match the names on the lease. Condition Report - This document describes how the current tenant should return the property when they leave. Ideally it will be very detailed and not hand written with a description against each item. If there is no description it makes it difficult to hold the tenant to account when they leave. If it is hand written make sure it is legible, as it may be difficult to read again and it makes it hard to hold the tenant to accountable. Rental Ledger - This will show how the rent has changed over time and will also show if the tenant pays their rent on time. Sometimes ledgers can be hard to read so feel free to contact us to interpret them for you if needed. Last Rent Increase Notification - And what the previous rent was. This is important. Often rents are put up just before the property goes on the market. Thus the tenant may actually be looking for a new property because the rent is too high. Thank you so much for making the renting process run so smoothly. We are pleasantly surprised that tenants were found before we had to leave overseas. We certainly feel we are leaving the property in extremely capable hands.